I was having lunch with my friend last week, who's also a former co-worker, when she suddenly blurted this out. “If it's that bad then let’s play the Game of Opposites,” I said pulling out a piece of paper. “I’m trying to deal with a frustration here,” she replied. My friend is actually quite used to me so I think she knew to bear with me while I explained the Game of Opposites to her. “You know about the Law of Attraction,” I said. “You get what you put your energy and focus on, whether wanted or unwanted. Well, there's also the Law of Opposites that’s taking place and until you figure it out you'll probably stay stuck where you are and you won’t be able to get past the frustration. 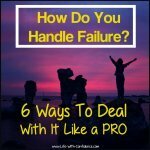 If you have resistance to certain things in your life, it can make it difficult to get what you really do want and it can even prevent you from moving towards those desires." I drew two columns on my piece of paper like this. "Every situation that looks bad has an equal amount of good, if you look for it. Everything that happens just "is". Like two sides of a coin, it has a side that looks 'bad' and it has a side that looks 'good'. You get to choose. Whatever you call it, it becomes for you." “Remind yourself that the universe is friendly to you... You do not absolutely need 'that one', you can move on to the next. Next, you remind yourself that you get to decide what to call the situation - good or bad. You know the good is there (and, yes, I know, it is sometimes hard to see when you're in the thick of it), but you do know it's there." In his book, Wes goes on to remind us that it's usually the absolute worst experiences that we go through that eventually end up bringing us the greatest gifts. They teach us valuable lessons and in the end turn out to be really good things. It may take awhile to find the good or the silver lining to the event but it's usually there. You just have to turn it around. You just need to play the Game of Opposites so, back to my diagram. “Well, it pays my rent,” she admitted. “You’re right,” she agreed. “I would just stay because it’s comfortable. This is totally encouraging me to find something new." "Or you could even look around your current workplace and see if there's any opportunities to work in other areas you'd prefer. Or you could even write up a proposal for some new ideas you could come up with for new projects and see what your boss says. Your boss might be thrilled that you're showing interest and initiative. It'd be along the lines of what Dr. Spencer Johnson says in his book, Who Moved My Cheese? 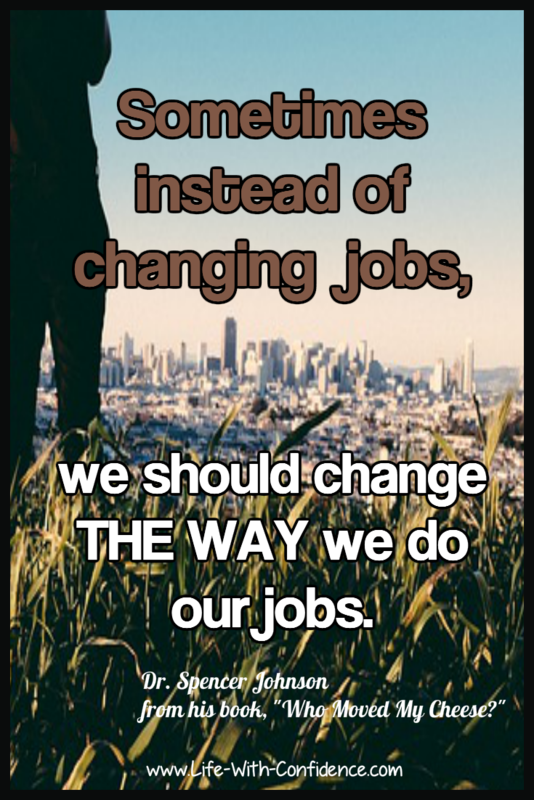 : An Amazing Way to Deal with Change in Your Work and in Your Life when he said, 'Sometimes, instead of changing jobs, we should change the way we do our jobs.' and I know you loved that book." "Yeah, I never thought about that. There's definitely things I could do." "Yes, you could even start updating your skills now so you're ready to apply for other jobs. You could do online courses at places like lynda.com or udemy.com or take courses at the university and attend at night or on the weekends. Having those skills might also help you to apply to other jobs where you're working right now too. Definitely couldn't hurt to update your skills." We continued brainstorming all the good things about her job until we’d managed to think of about ten things to add to the list. Before we had gone through this exercise, my friend had been focused simply on the fact that she hated her job and thought she’d be stuck where she was forever. By turning it around, she can see that yes, she’s not satisfied with what she currently has but that’s actually a good thing. It’s at that moment when you’re trying to deal with a frustration that you learn that there is something that you need to improve and then you start to push yourself to grow and become even better. 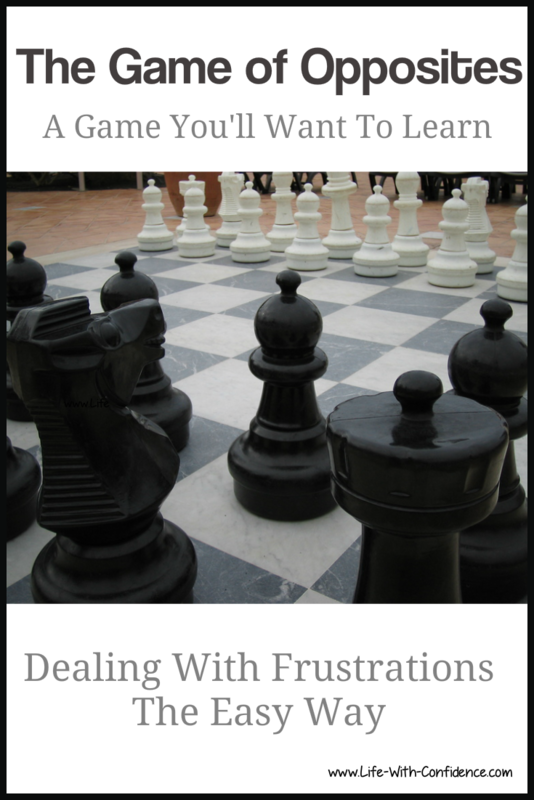 Frustration causes us to learn more about ourselves and gain new insights into the world around us. You know you have the ability to do better and you will. You just need to figure out how and then take action. But, you can only do that when you’re grateful for the situation that brought you to the initial starting point. It changes your whole focus to one of being positive and this opens your mind to new opportunities. Try it. See what a difference it makes. Write down everything in your life right now that is annoying you or frustrating you or that you don’t like and then play the Game of Opposites. 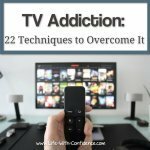 You may find that you're suddenly able to move past those annoyances that were driving you so insane before and actually start using them as stepping stones to achieving what you really do desire. Bad luck is good luck we haven’t figured out how to use yet. 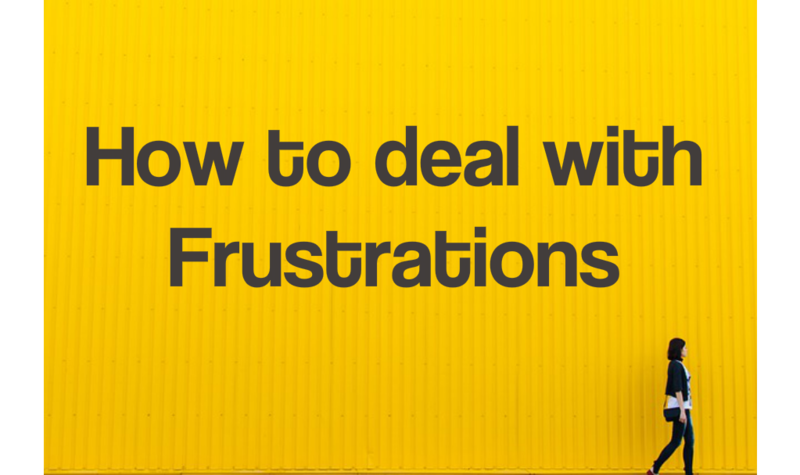 4 ways that frustrations can actually be useful for you. 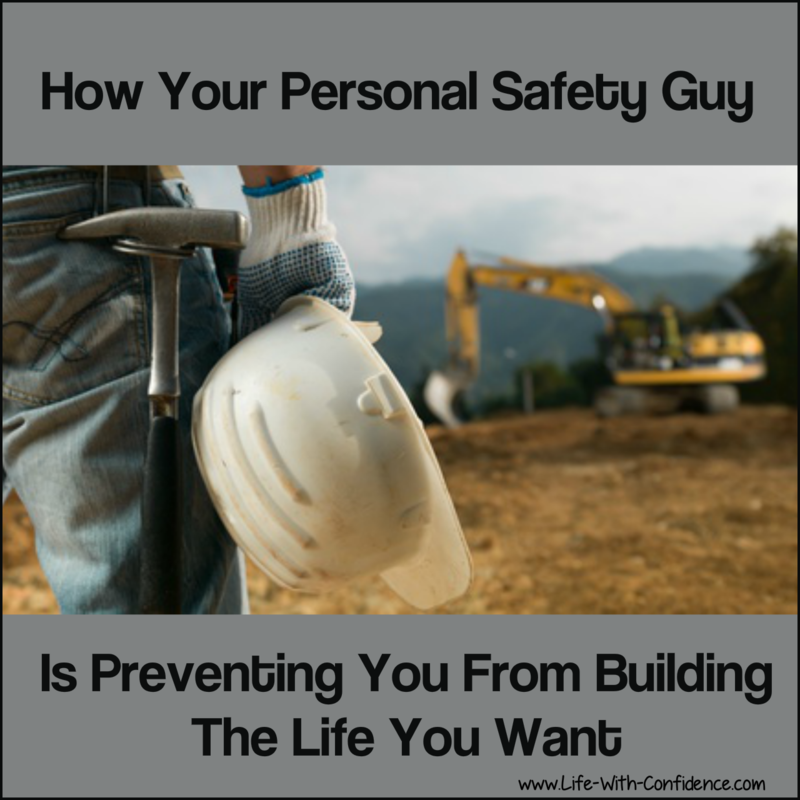 How your personal safety guy may be getting in your way. 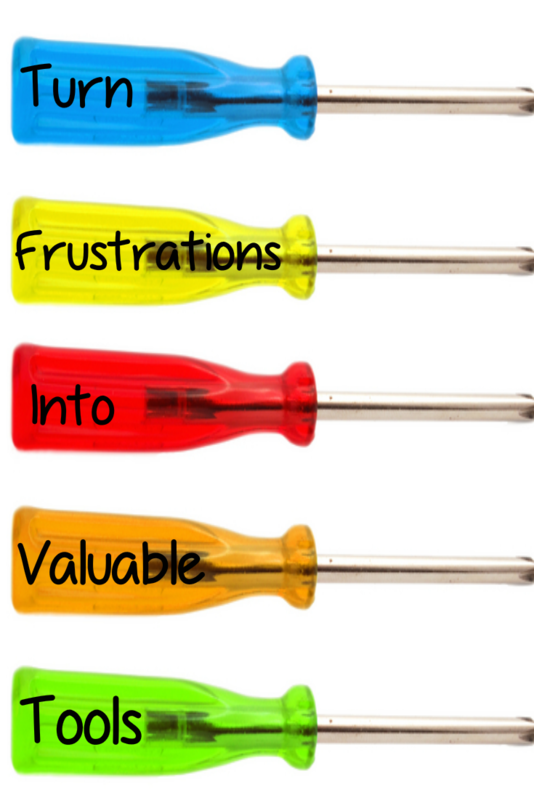 Also, remember to download a FREE copy of my book, "The Power of Frustration"